Kids will love these Disney-Pixar Incredibles 2 printable activity sheets and coloring pages – especially perfect for a fun Incredibles movie night, an Incredibles party, or a Disney trip! 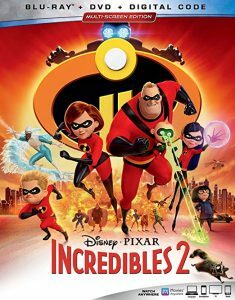 Incredibles 2 (that shattered box office records with the 8th-largest opening weekend of all time and the biggest opening for an animated film ever) is finally available to own at home on November 6, 2018!! We absolutely LOVED the movie!!! 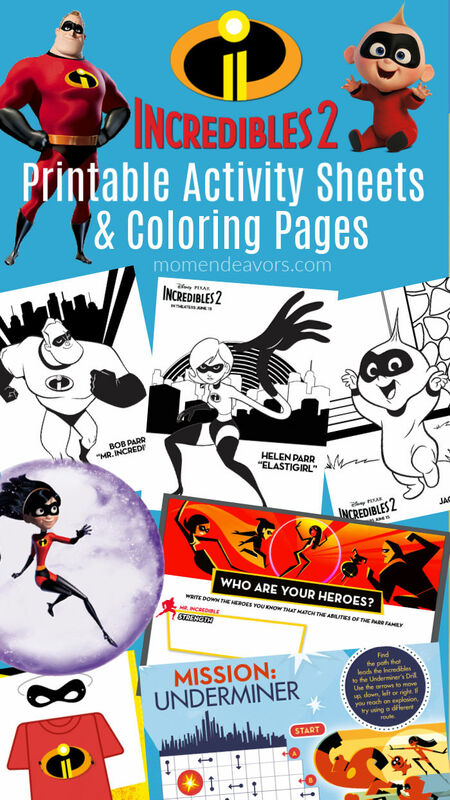 So, if your family is anything like mine, these printable activities and coloring sheets are perfect for a fun Incredibles party or fun family movie night! I also love printing Disney coloring pages for our Disney road trips! These would be incredibly perfect for a trip to Pixar Pier at Disneyland! You can ride the Incredicoaster and eat some delicious Jack-Jack Cookie Num Nums. You can get more details with our tasty Pixar Pier food guide! To access the coloring pages and activities you’d like, just click any of the links below to download your picks! I love the coloring pages – I just wish Disney would release some for Frozone and Edna Mode. I mean, the definitely deserve their own pages…don’t they, darling? In addition to those cute coloring pages, Disney has also made some fun activity sheets. Again, just click to download whatever you’d like! Just click on the images below to access any of these additional printables/activities. The hero mask and emblem would be perfect for some fun superhero play time at home! And, how fun are these for Halloween festivities? Love it! SuperScene Breakdowns – Casual commentary-style pieces looking at specific scenes in the film (The Racoon Fight and Mrs. Incredible) through a particular creative focus like action choreography, set design or story. SuperBaby – A documentary/hip-hop music video hybrid hosted by Frankie and Paige from Disney Channel’s Bizaardvark. This piece explores how Jack-Jack came to life onscreen — from design to special effects to animation. All set to a hot beat. Commentary – Get inside commentary from animators. What did you like best about Incredibles 2?